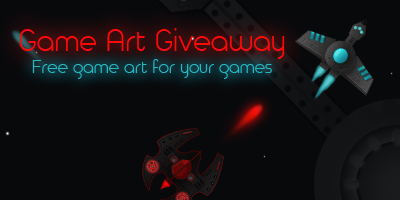 As my readers know that, I release a royalty free game art pack every month on my website. This time I created a spaceship game art pack for Indie developers. You can use it anywhere you want. Credits are not required but much appreciated. I hope you guys will love it. Nice drawings =) can you tell the name of the font you used? @vectorhead Always happy to help. Thanks Killu:) I would love to see them moving. Note: The default pack has some missing sprites. I am attaching a link here. ( Bad connection to upload it again). Very nice, would love to see more! I like the way you blended a cartoonish style with a more realistic look, and I apreciate the originality and the creativity. This looks awsome! Going to use this to experiment with my first game! Thanks a lot Kevin. Best of Luck. Thanks Kuldeep. If you are giving credit then you can use Unlucky Studio in the credits. Thank you! I really like your style aswell! Never stop making art! good job! I forgot to give you cridit in the about section but I will added in the up coming upfate. Keep the awsome work coming. New here, and doing an online course and was informed about the site, so I came looking for some nice art to use in a learning project. The first link I opened was exactly what I was looking for. The artwork and style is just perfect and what I needed.